Editor’s note: The opinions in this article are the author’s, as published by our content partner, and do not represent the views of BackTrack or EC Active. Cape Town speedster Dwayne Minnies,12, ended his year off with a bang at the Inter-Provincial track and field Championships, in Port Elizabeth, on Saturday. The Grade 7 pupil at Saxonsea Primary School in Atlantis took the gold medal in the boys’ under-12 100m and 150m sprints and long jump events. Minnies who was part of a 32-member Western Province development squad (U11, U12 and U13) that included 22 boys and 10 girls, bagged 45 medals. The girls’ and boys’ in blue and white were joined by hosts Eastern Province Athletics in the one-day competition. Minnies said he was grateful for the opportunity to represent Western Province and hopes to continue his track and field success. “I am happy with the outcome of my performances at the Inter-Provincial Championships, however, there is always room for improvement,” said Minnies who came into the Championships in a good vein of form. The youngster was unbeaten in the Little Athletics meets competition in Cape Town which was the qualifier for Inter-Provincial Championships and he took the gold medal in the 100m and 150m sprint events at the Oakland FAST Prestige Athletics Meet, at the Parow Athletics Track, last month. Minnies has had a great 2018 season after he won gold in the boys’ under-12 long jump, 100m and 150m sprint events at the South African Primary Schools’ Championships, in Paarl, earlier this year. This comes after he did the double in the boys’ under-11 80m and 100m sprint events at last year’s SA Schools’ Championships in Potchefstroom. 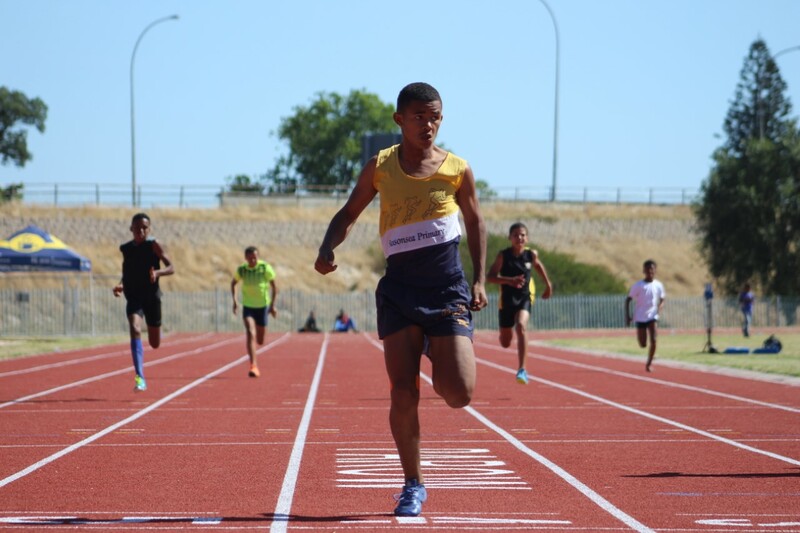 It all started back in 2016 for Minnies when he made the finals of the boys’ under-10 80m sprints at the SA Schools’ Championships in Port Elizabeth. “It felt amazing being champion but I need to remain focus and humbled,” he said. Like most athletes, Minnies started running for fun in pre-school and always watched others running at track and field meets. Like they say, the rest is history. “I did not expect to be where I am today” said Minnies. In other action, WP development’s Na’eem Jack was in fine form to take gold in the boys’ under-11 70m hurdles and 100m sprint event. The youngster who is a member of Itheko Sport Athletic Club based in Cape Town came into the 70m hurdles event as the favourite following his gold medal performance clocking 11.22 seconds at the SA Primary Schools’ Championships, in Paarl, earlier this year. His teammate at Itheko Jadin Fritz finished in first place in the boys’ under-12 75m and 150m hurdles events. Fritz also did well on national level earlier this year following a third-place finish in the boys’ under-12 150m hurdles clocking 21.42 seconds.